Below, you will find a list of our keynote speakers and links to their websites. These individuals will speak on a wide variety of topics surrounding home funerals, natural burials and the options available to consumers. Nathan’s philosophy was borne of his own deeply felt experiences of family loss. His experiences showed him that the way we observe the passing of loved ones can have a lasting impact on those who go on living. Nathan’s passion for helping those in need has been a constant since childhood. After more than 16 years in the funeral industry in Ontario and British Columbia, Nathan acquired a deep understanding of Canada’s diverse cultures, religions and needs. From these experiences, a life-centered approach to funeral service was born. Working under the auspices of one of Canada’s largest conglomerate funeral chains, Nathan formed his vision on how the funeral industry could be and set forth to forge a new path for families. It is a path of social responsibility encompassing respectable prices, accessible unique services, and environmental care. Nathan's vision is that families should feel in charge of their own decisions instead of being cornered into funeral services that aren’t valued by families and that they should make important decisions in line with their budgets and expectations. Barb's professional experiences have been varied over the year's. A career as a fitness and wellness practitioner for over 30 years to a Bio-energy Healing Therapist and now as a Thanadoula/Home Funeral Guide/Life-Cycle Celebrant supporting individuals and families travel the continuum of care in the days prior to, at the time, and after death. Barb finds this evolution of how she has spent her days as an adventurous young woman, an engaged middle age woman to now a crone, an opportunity of learning how it is to be an elder worthy of coming to by the younger generation a great undertaking. She graduated as an Orphan Wisdom Scholar under the tutelage of Stephen Jenkinson in 2012 and continues to learn from his teachings on an ongoing basis. In 2011, she graduated from the Contemplative End of Life Care Program at the Institute of Traditional Medicine in Toronto, Ontario. In 2012, she completed the Level 3 Home Funeral Guide certificate course with Jerrigrace Lyons of Final Passages, California. 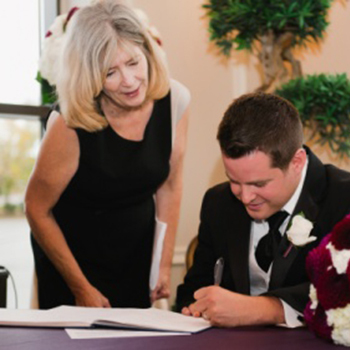 Barb is also a certified Life-Cycle Celebrant through the Celebrant Foundation and Institute, New Jersey, and a Certified Celebrant with CCAOC (Certified Celebrant Association of Canada). Barb has been a volunteer with community care Hospice since the year 2000, and served as a Director with the residential Hospice in Warkworth Ontario from 2012-2015. Over the last 8 years she has had the privilege and honour of assisting friends and community members through the difficult transitions that accompany our dying and death time. She has been privileged to support and guide families through home deaths and family-directed home funerals and lead co-created ceremonies for funerals, memorials, interments and graveside services. An active member of the Unitarian Congregation in Mississauga for 5 years, Debbi has moved into leadership roles within the Congregation. She is a SourceFire Leader, Communications Committee Leader and most joyfully a Lay Chaplain. Debbi is a professional social worker, advocate and lobbyist with a long career partnering with marginalized women in the justice systems. Just as passionate about beauty and creativity, she is also a proud mother of adult children and a former professional designer. Debbi believes that the milestone experiences of life should be transcendent and reflect all of who we are in the full glory of our diversity and uniqueness. She is a life long strong ally in the LGBT and No More Silence equality rights movements. 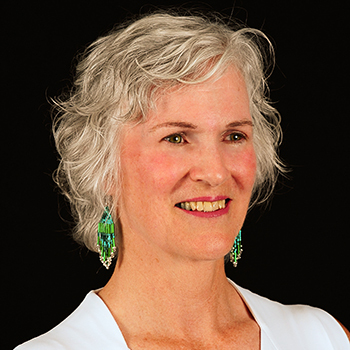 Debbi is an experienced creator of earth based life affirming rituals and celebrations. 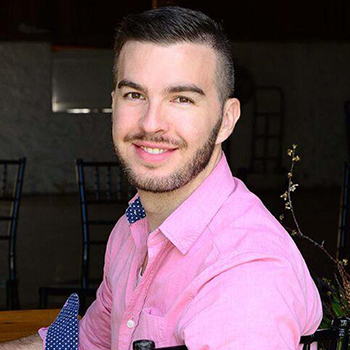 Born and raised in the Niagara Region, Mark attended and graduated from Brock University (BA English Language and Literature), and then Niagara College, Diploma in Business Administration. With the belief that you’re never done learning, Mark recently participated and completed Leadership Niagara and anticipates further studies in the years ahead. 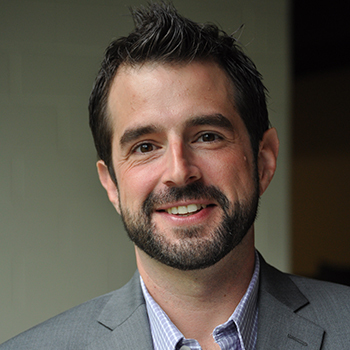 Mark spent the first five years of his professional life as an Environmental Planner. Working with Engineers, Planners and the Public, Mark helped to identify environmentally sensitive alternatives and options for major water/wastewater infrastructure projects. In 2008, Mark jumped at the opportunity to join the City of Niagara Falls as a Community Development Coordinator where he managed the environmental public outreach portfolio, working closely with the City’s environmental liaison committee. This position also allowed Mark to work directly with Parks and Cemeteries. In 2011, Mark moved into Cemetery Services as the City’s Cemetery Services Administrator and was later promoted to Manager of Cemetery Services. In this capacity, he has honed his management skill set while working with Cemetery Services Staff. At the same time, Mark has continued to blend his passion for the environment with work through participation in environmental/greening initiatives. Since joining Cemetery Services, Mark has actively pursued the opportunity to bring the first Conservation/Green Cemetery to the City of Niagara Falls. In an effort to learn, and foster change within Niagara Falls, the Region and abroad, Mark participates on a number of related committee’s and Boards including the Green Burial Society of Canada, Municipal & Small Cemeteries Committee, and the OACFP Legislation Committee. An avid supporter of Niagara, Mark has worked with a variety of local service providers including Learning Disabilities Association of Niagara, Bethlehem Housing and Support Services, and Literacy Link Niagara. In addition, each year Mark joins a team of volunteers on humanitarian mission to the Dominican Republic to build and work in impoverished villages.